Named for Frederick Weld, who in March 1855, with Alphonse Clifford, climbed onto a high point on Turk Ridge and spotted Tarndale, which led to the upper Clarence and opened up the important droving route to Canterbury. From the Hydro Rd. Follow a 4WD track to power pylons on the end of the spur. Pleasant ridge scrambling leads to a difficult notch at about 1950m. 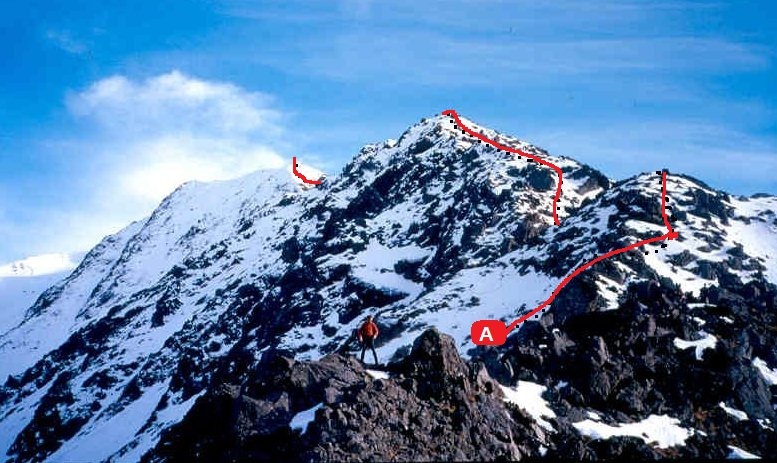 Turn it by descending steep slopes on the east, crossing a gully and climbing up the final easy slopes to the summit. There are easy descent routes via scree and tussock into streams on either side of the ridge.